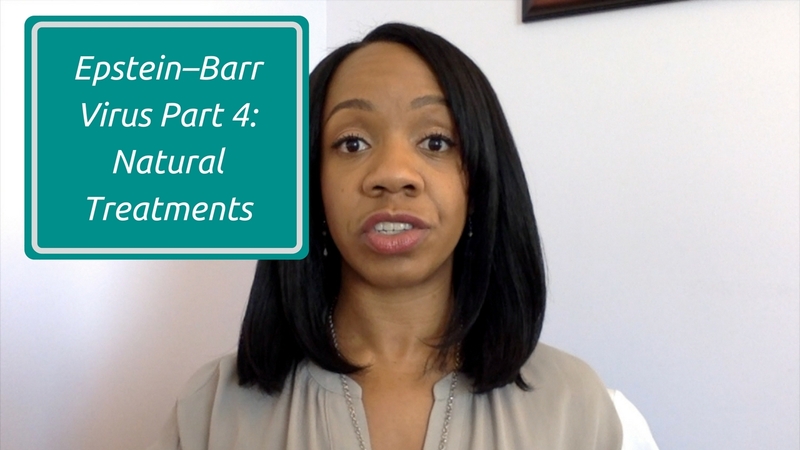 This is part 4 of 4 of my Epstein-Barr virus video series. I’m going to discuss the many natural treatment options that support the immune system, prevent the virus from infecting our cells, and reduce EBV’s ability to replicate in the body. I have one question…how do we impower the the power house of our body. I have two boys who are always so fatigued and we have done lots with the virsus already. This one thing just does not seem to improve. We use bio resonance and supplements. I would love and answer or insight to what our next step can be. Thank you for the positive feedback – I truly appreciate it! I’m right with you in your belief that we need to empower the body to heal and build a strong immune system. It’s not just about “fighting” the infection. Immune system balance is really about giving your body the tools it needs to function properly (ie: the right nutrients and quality of rest) and also removing anything that’s dragging the system down and causing a dysregulation. This is where I start to look for things like toxic chemicals (including pesticides, herbicides and hormone disruptors), heavy metals, food intolerances, stress, emotional health (including grief, resentment and anger), etc. Often when people aren’t healing there is a toxic burden that needs to be removed. I also recommend avoiding wifi as much as possible and turning it off at night. I enjoyed your series on the Epstein-Barr Virus as I’m currently reactivated with the virus. I also have Hashimoto’s. I can’t find the links to the supplements and products that you mentioned in the 4th video, “Natural Treatments”. Loved the EBV videos . It helped me alot . I just found out that I have it . Wished I could figure out how to sign up for your blog. Also can EBV cause damage to your eyes . Thank you for your time and all you do. Thank you so much, Elisabeth! I’m glad you found the videos helpful. Right now we have a pop-up on our blog page that should allow you to sign up. You can also add us to a feed reader like Feedly, or subscribe to our YouTube channel. To answer your question, YES. Epstein-Barr virus can absolutely cause a variety of eye problems. What I’ve found in practice is that we really have to look for the deeper underlying reasons why the immune system can’t keep the virus in check. So I’m always looking for things like heavy metals, toxic chemicals, nutrient deficiencies and mold. I wish you all the best! The symptoms you describe could possibly be caused by chronic EBV. It’s important to get some advanced testing done for things like toxic chemicals, other nutrient deficiencies, mold, heavy metals, and other infections. These are the types of things that will suppress your immune system and allow the virus to thrive and replicate.